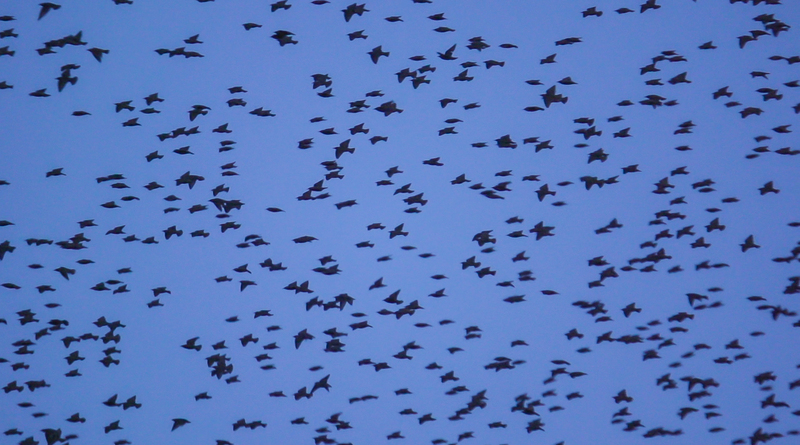 In spring big groups of starlings come together to roost on the same location. By gathering in big numbers they are safer for atacks by birds of pray or other predators. This year they choose the neighbourhood Kanaleneiland in Utrecht as their sleeping grounds. And within the neighbourhood they choose a very special area, the place where I lived at that moment, the area called Eiland8. Eiland8 is a hub of small companies and starters all working in the creative sector and professional services. A colorfull and unique project of which I had the honour to be part of for many years. All toghether we worked as a group of professionals in the middle of the neighbourhoud and simultaneously influenced life in the area in a positive manner. With Safety in Numbers I try to make poetic links between the arrival of the starlings this time of year and the creative people who live here. I’m able to make this film as part of the Picture Perfect project which has been made possible by Mitros, Portaal, Sophies Kunstprojecten en Eiland8 projectenbureau. And ofcourse I’m not making this film all by my self so big thanks and credits to the people helping me out who are all people who live(d) and work(ed) in the area called Eiland8!